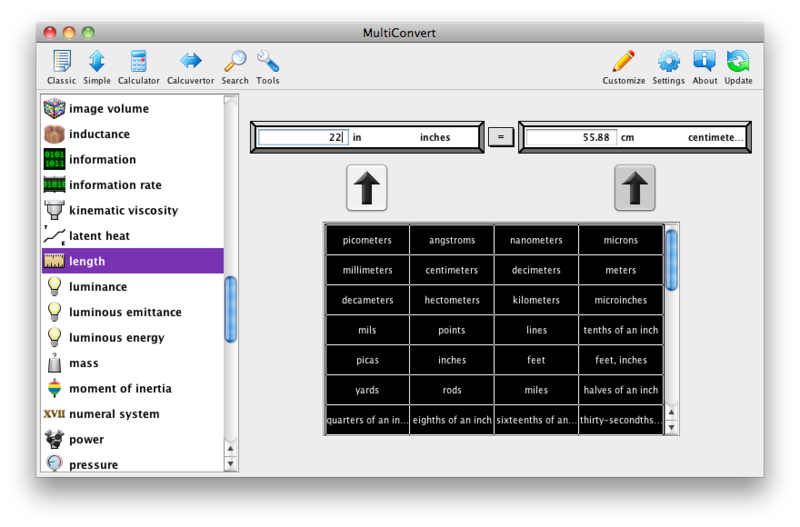 MultiConvert converts any unit into all other units of that type in real time. Simply enter a measurement in the text field for one unit, and all other text fields update to display the same measurement in other units. The MultiConvert iOS application (MultiConvert 4.5) is no longer available. There will be no updates to the iOS application to support iOS 11 or later. To continue using MultiConvert on iOS devices, please use the MultiConvert web application (MultiConvert 6.0). The web application is designed for both iOS and Android and can be installed on your home screen and used offline. Complete customization. Choose either a basic set or a whole mess of units to begin with, then add and remove categories and units as you see fit. Dozens of new categories and hundreds of new units to add. 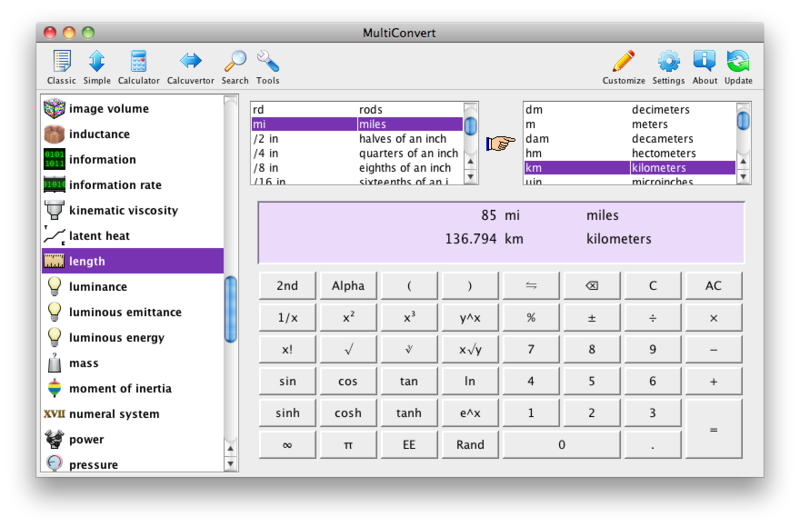 Four different interfaces to choose from: Classic, Simple, Calculator, and Calcuvertor. Search for units by name when you can't remember where they are. 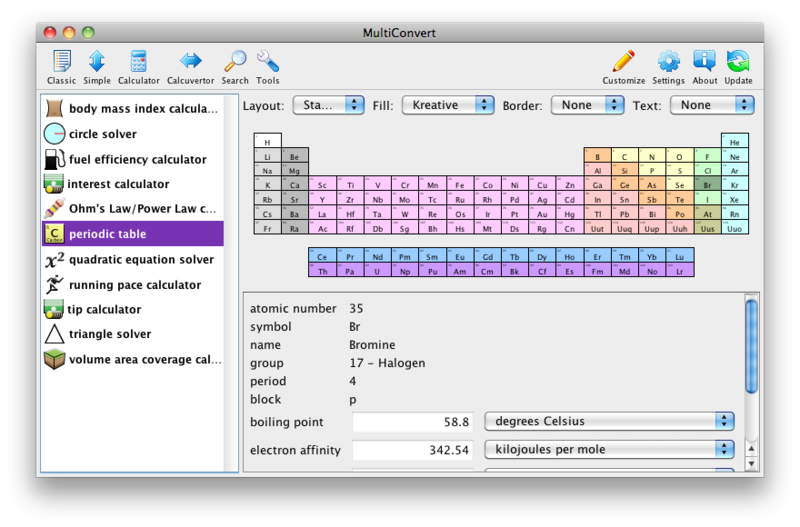 Includes a periodic table of chemical elements.